You’ve heard that some casinos in the US have started offering online gambling in their repertoire, Tropicana casino being one of them, but you really want to check out the place in person and see if you can take some photos. However, everyone says that taking photos in casinos is not allowed. What now? First of all, in some casinos, photos are allowed. You can take as many as you want as long as you don’t bother any guests or interrupt the games being played. This article is not about those casinos. Let’s take a look at some tips for taking photos at casinos where that is not allowed. Just remember, you do this at your own risk and we advise you to not break any casino rules while staying there. This one is pretty clear. You want to make sure you don’t make yourself easily discoverable. This is a rookie mistake and you should not make it. All phones nowadays have a feature where you can disable it altogether. Make use of that feature. This way you don’t have to be the person with flash snapping everywhere and the security guys can easily see you. It would be like you basically have an arrow pointing at yourself and there is a “this person is breaking the rules” sign right above the arrow following you. Using a DSLR can make you super obvious that you might be taking pictures. Just leave your DSLR at home along with its lens and tripod. 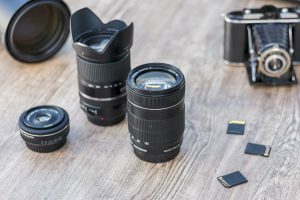 Even if taking pictures is allowed at some casinos, you need a special approval by the manager to use your professional gear and possibly make commercial photos of the place. In case you have a backpack, hide all of the gear in it and continue using your phone camera. Most phone cameras today are capable of taking decent photos anyway. I hope I’m not offending any professional photographers out there when I say that. If security people still catch you in your act you should always remember that in most casinos, by law, they are not allowed to look at your phone or pictures you took stored in it. This is not something they can do. So the way you can play it out is – be polite, say you’re sorry. If they request you to delete the images, you can just agree that you will do it, and then totally keep them. If caught, you can also play drunk or just act stupid so they don’t think you’re taking the pictures on purpose. That is, if you do know how being drunk feels, if not, just pick some of the other options presented here. Fake drunks can be spotted easily. If you just keep your phone up like you’re recording – well, it looks like you are indeed recording. This is not a good sign. So you should just take photos instead. Just randomly pull out your phone and snap a photo and put the phone away, or pretend like you’re reading something on it or writing a text. Just don’t hold your phone up the whole time.